back to english top page. 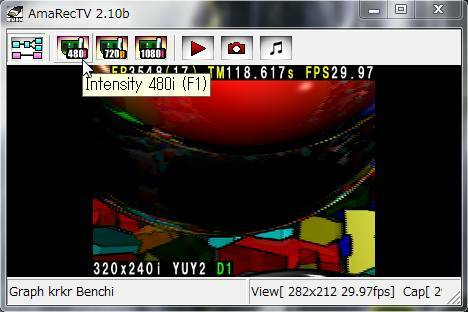 This software records it while previewing a “Video Capture Device” corresponding to “Direct Show” and is better. 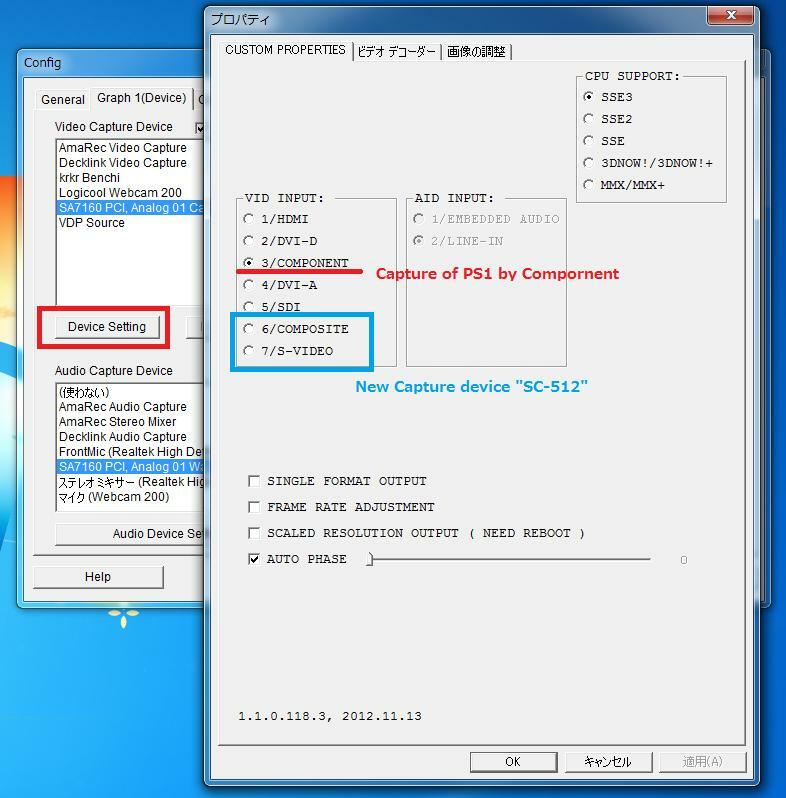 - Micomsoft SC-500N1/DVI (Japanese) The best of Capture Device in 240p. * Corresponding to WDM (Windows Driver Model). High performance Deinterlace filter included. It is Bob fixation in simple Deinterlacing processing. It can process at very high speed. moreover, there is no processing delay -- it is (zero frame delay). You should not use to the progressive picture of an old game machine. Bob and Weave are controlled for every area by advanced Deinterlacing processing. It excels in visibility, such as a character. Retro Mode is more desirable although you may use to the progressive picture of an old game machine. It is the mode in which the best result is obtained with an old game machine. The progressive picture by which the capture was carried out by the Interleave system is restored completely. The contents change with video cards. Since delay is large, we do not recommend you. It becomes impossible to use almost all the functions of AmaRecTV. O : It can use. X : You should not use. 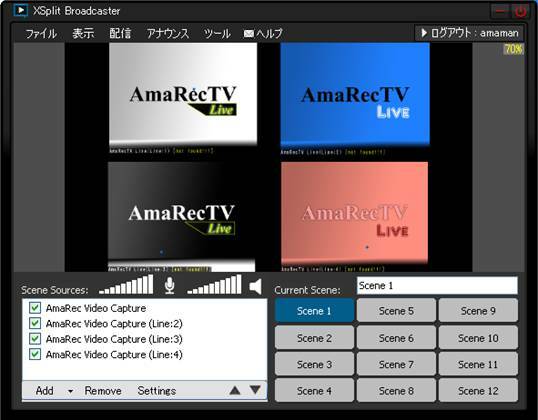 The image and sound of AmaRecTV are transmitted to external Encoder. It can record in Exterior Encoder or can broadcast. 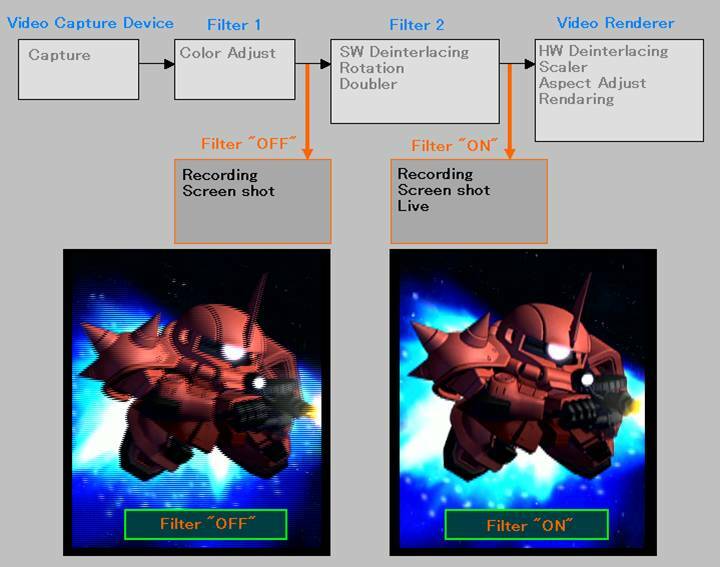 Image processing, such as Deinterlacing, and an audio mixer function and a replay function are offered. 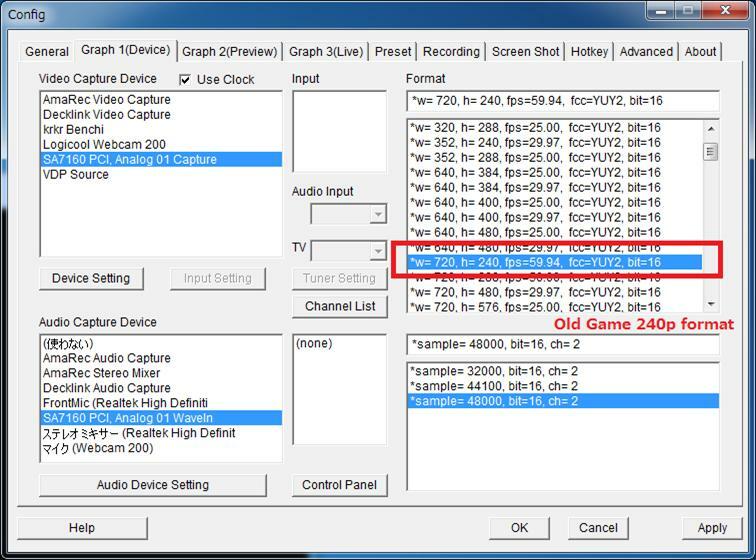 It always records to the ring buffer on a system memory, and can play back an important scene. Usually, real-time operation of slow reproduction, inversion reproduction, step reproduction, etc. besides reproduction, etc. is possible. Drag the screen of AmaRecTV, pushing the left button, or pushing the right button. Moreover, a wheel is turned, turning a wheel or pushing the right button. An image can be displayed to the limit of a screen. 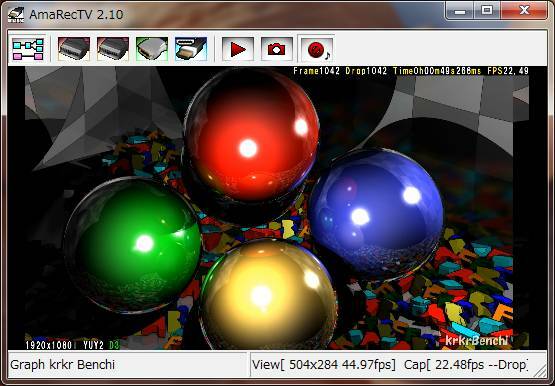 It corresponds to the newest video renderer. 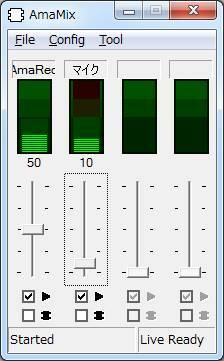 “AmaRec Stereo Mixer” is captures the sound of the speaker in WIndows7. 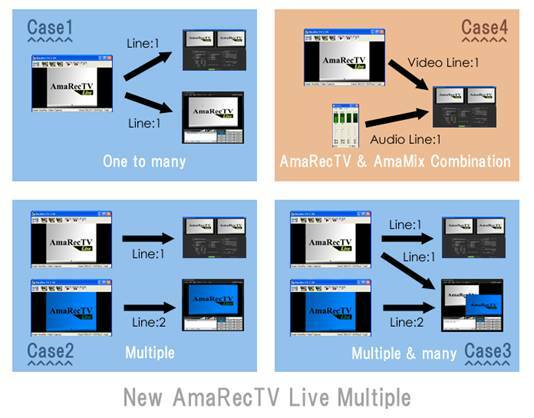 AmaMix can be used for a simple substance or can be used together with the Live function of AmaRecTV. It works also as routing software of sound. This can record the image after the filter. This version is finishing preset it of the BMD Intensity Pro use. 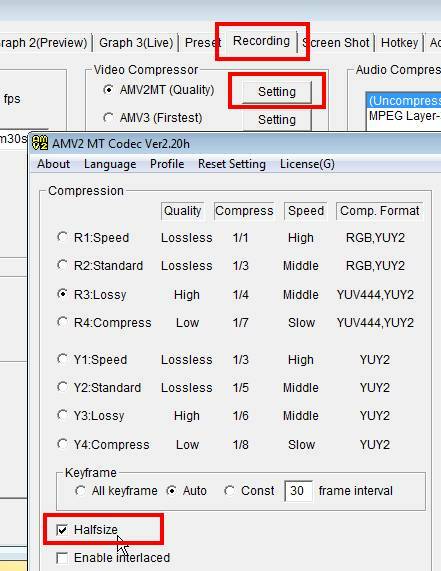 I can perform the recording in low resolution compactly while previewing it in high definition. Display detailed recording status in real time. Available is Aydio Device on Video Capture Device. X : It cannot use. How to use setting of Intensity Pro. It is a version finishing setting for Intensity Pro. How to use setting of MonsterX-i. * Support video format is “YUY2”, “UYVY”, “HDYC”, “RGB24”, “RGB32” only. How to use live broadcasting function. Install “live_setup_en” of the AmaRecTV bundling. Start Flash Media Live Encoder, and choose devices. How to use recording by 60fps? When a noise occurs for the sound, what should I do? 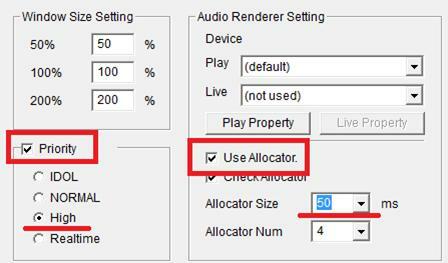 When a noise is outstanding, I make allocator size of the audio system setting 50. Still please raise it from 50 when it is not improved. But a delay grows big when I raise it. 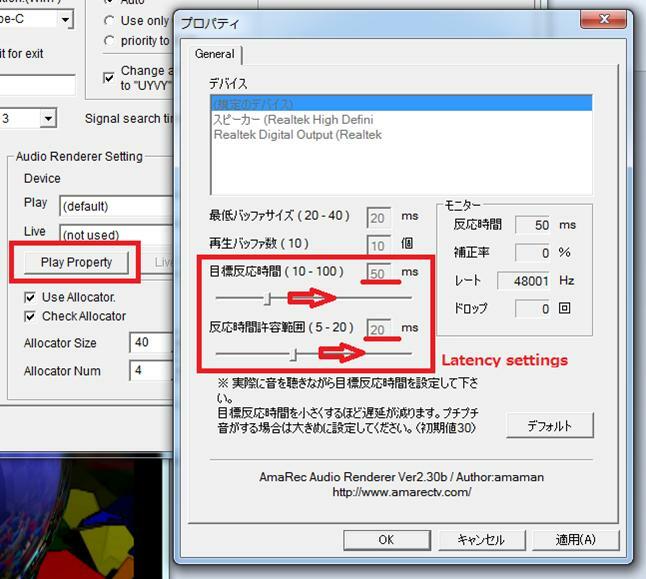 In addition, I turn on priority and should choose High when the specifications of the PC are low. Require minimum system by Lossless recording and full preview. Use overlay screen and VMR7. But IntensityPro is not settled because the case of LE211 is a Low Profile. 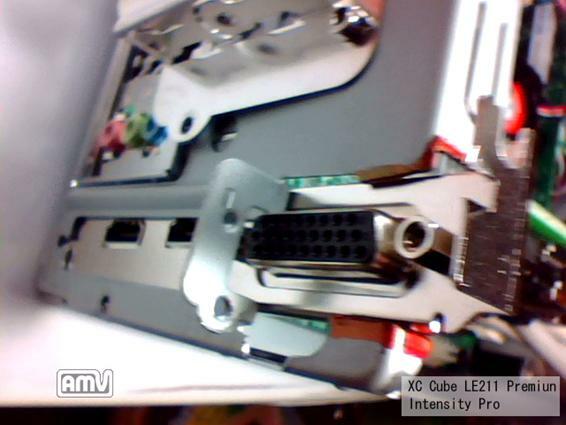 I cut a case and tested it. The drop frame does not occur even if I record it in D3 for 9 hours. But drop frame occurs without the writing of the HDD being enough when it is 10 hours. D3 lossless recording required write 40-65MB/s. Use about 90% space by recording of 9 hours. 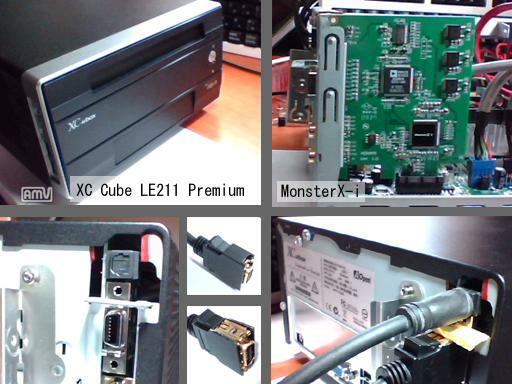 MonsterX-i is possible by the same system, too. But a drop frame occurs when I carry out other activities during recording in the case of MnsterX-i. 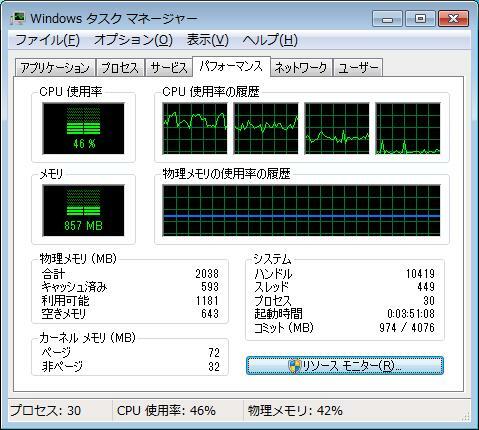 Task Manager in recording by MonsterX-i. Copyright ©2009-2013 amaman. All rights reserved.